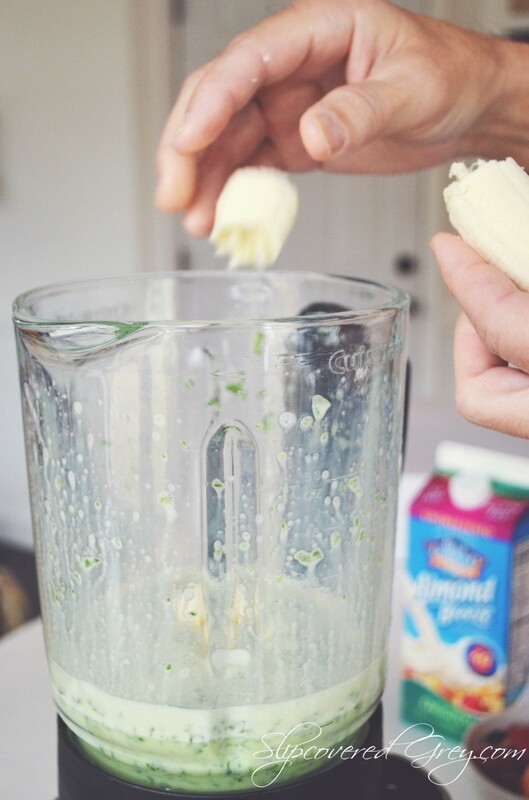 What do you think when you hear green smoothie? 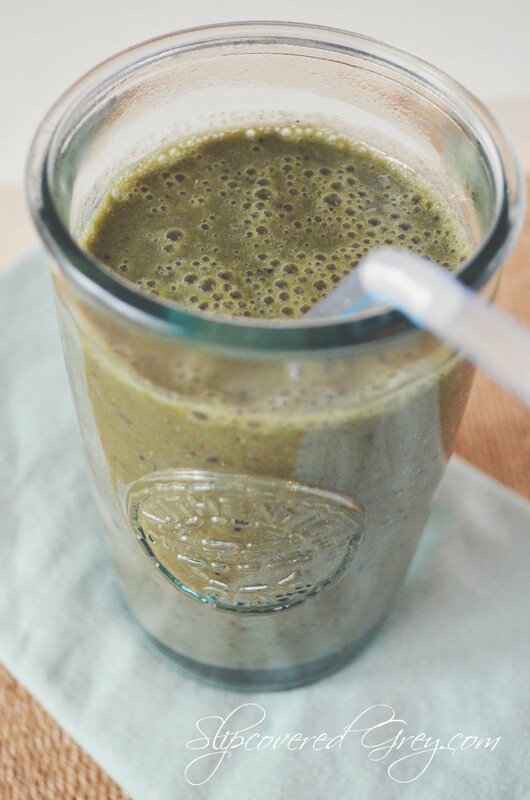 It cracked me up today because I told some friends I started drinking green smoothies. If you could have seen the look on their faces… it was a look of disgust. Like, let me hurl right now disgust! I laughed because you are talking about me here. The girl who grew up with meat and potatoes, pizza, and the good ole American food diet. 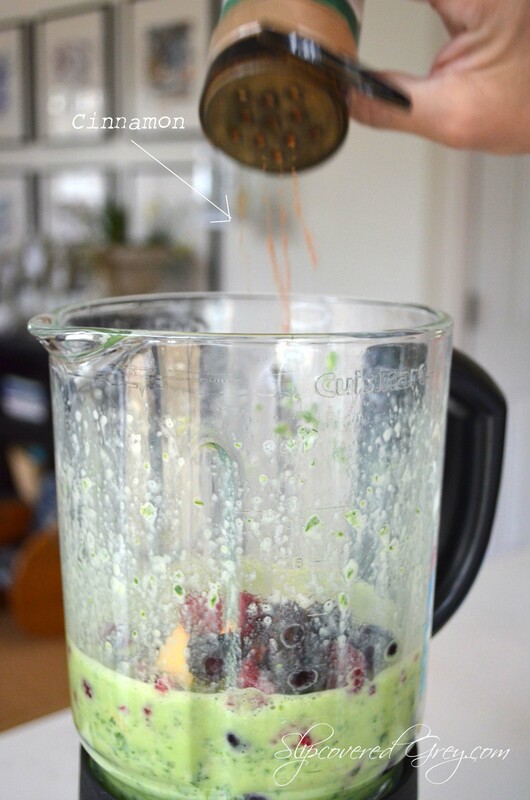 Now, I actually LIKE the green smoothie. What? Okay, so I already had it in my mind I was going to hate it. 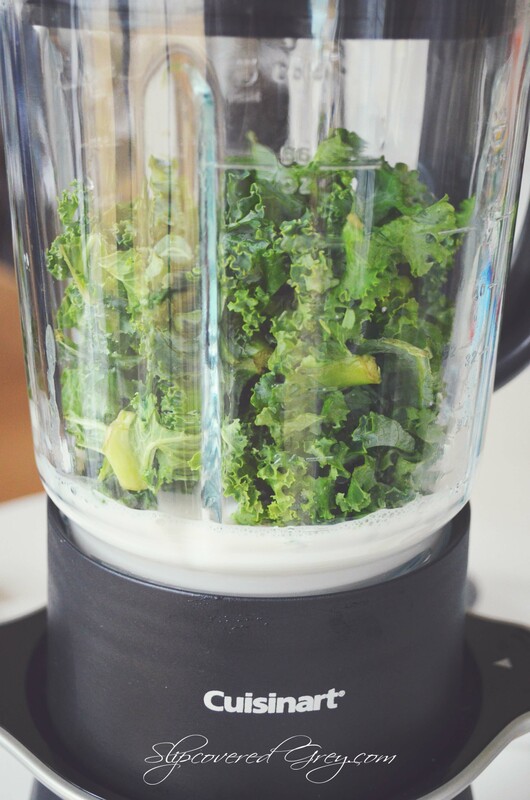 “How much kale did you put in it?” I asked my husband. The first sip was kind of a surprise. I was expecting some gross, kale tasting, veggie smoothie. What I really tasted was something different, very fruity and berry yummy. Did I say berry yummy? Yes, I did! The strawberries, blueberries, and fruits really give the flavor. but doesn’t taste like it’s there. Why the green smoothies? Well, my husband is the big driving force here and I am along for the ride. I have had stomach issues for quite some time. I had friends tell me I may even have Celiac Disease. After doing a little research on Celiac Disease and my husband reading Dr. Fuhrman’s books, I decided to join him in eating healthier. This isn’t even a new year’s resolution. This is a life changing thing. Mostly I am cutting out Gluten. What I am finding is there are so many of us out there with some sort of condition. Whether it be stomach, joint pain, inflammation… the list goes on. I say, stick with the natural, and be healthy. 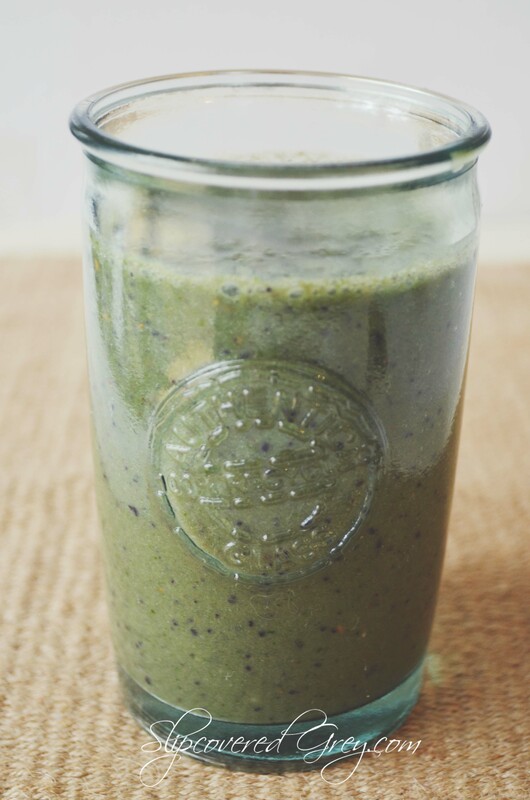 There are many smoothie recipes, but I thought I would share with you my husband’s creation. These are healthy, energy boosters, that really taste great! 2 cups of Almond milk/cow’s milk/soy milk etc. Yep, the banana doesn’t really look happy in the picture above. Both my husband and son looked at this photo and said, “Nice Banana”! 🙂 There is a reason for the extra ripe banana… they taste the best, my opinion, in smoothies. 2. 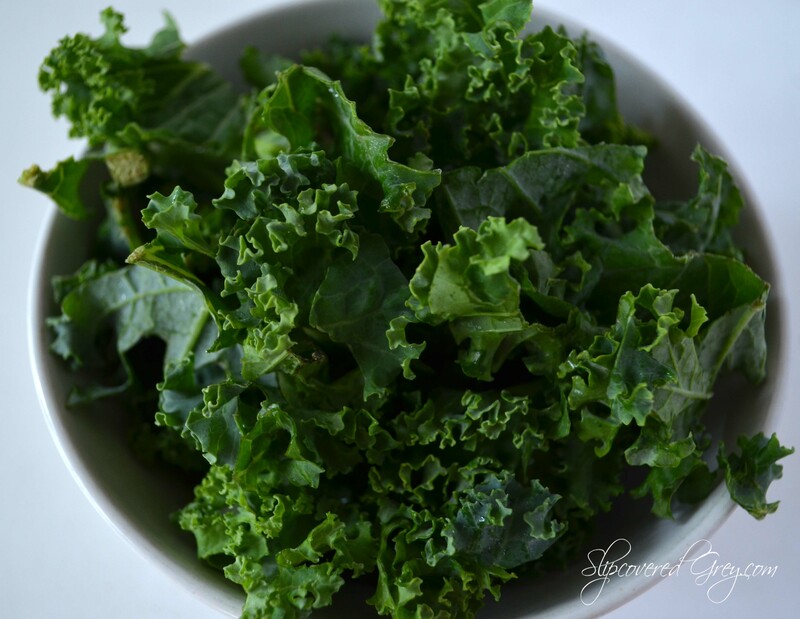 Add the super nutritious and full of vitamins – Kale. 3. Add Bananas – Break into small pieces before adding to pitcher. 5. Add a little Cinnamon. Now it’s time to put a smile on your face and drink up an extremely yummy smoothie. Did I mention it’s loaded with tons of vitamins and goodies for your body? Let me know if you have any questions. 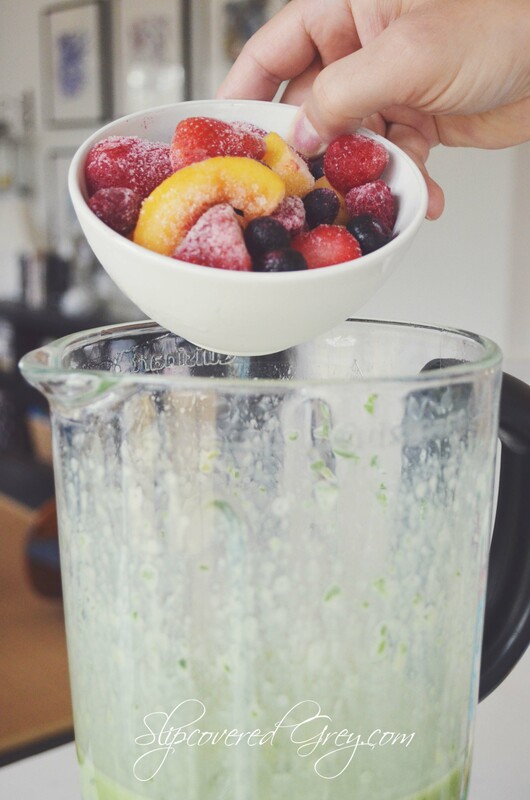 We adjust our smoothies all of the time, if we think it needs more fruit, we throw it in. Adjust it to a flavor you like. We tend to add pure vanilla to our smoothies too. 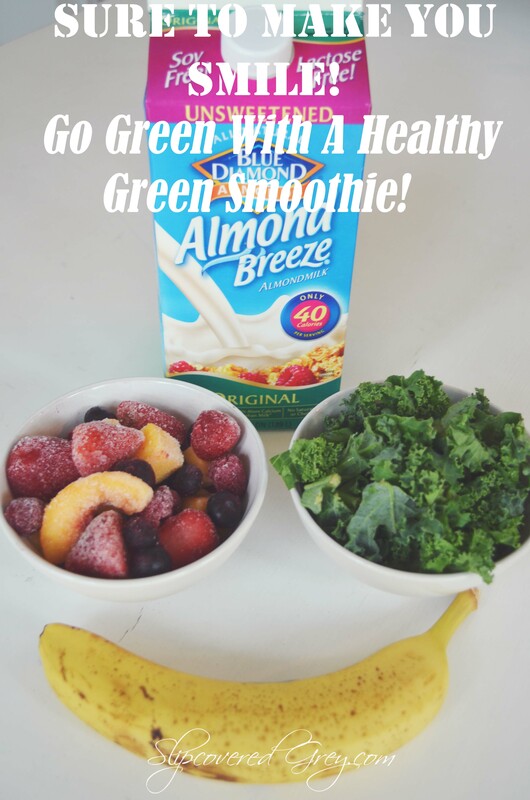 I would love to hear if you have ever had a green smoothie, or if not, hopefully you might just give this one a try. Oh, gosh, Angie, welcome to the gluten-free world! I drank smoothies for breakfast all summer, but not so much in winter. I hate bananas, but would be willing to try adding the kale to my smoothies. 🙂 Thanks for the suggestion! 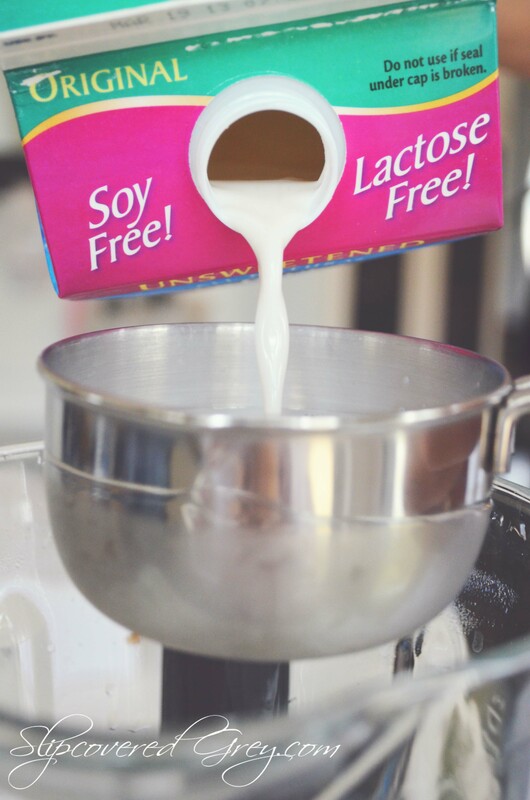 I use the unsweetened almond milk as a substitute for milk in everything.